Beautiful glowing skin is no more a distant dream! Formulated with some of the best natural ingredients known for their skin enhancing skills, Sugar Plum Soap Co. Orange Peel Bar, is just what you needed to keep your skin flawless. Orange peel is known for its skin brightening and lightening properties. 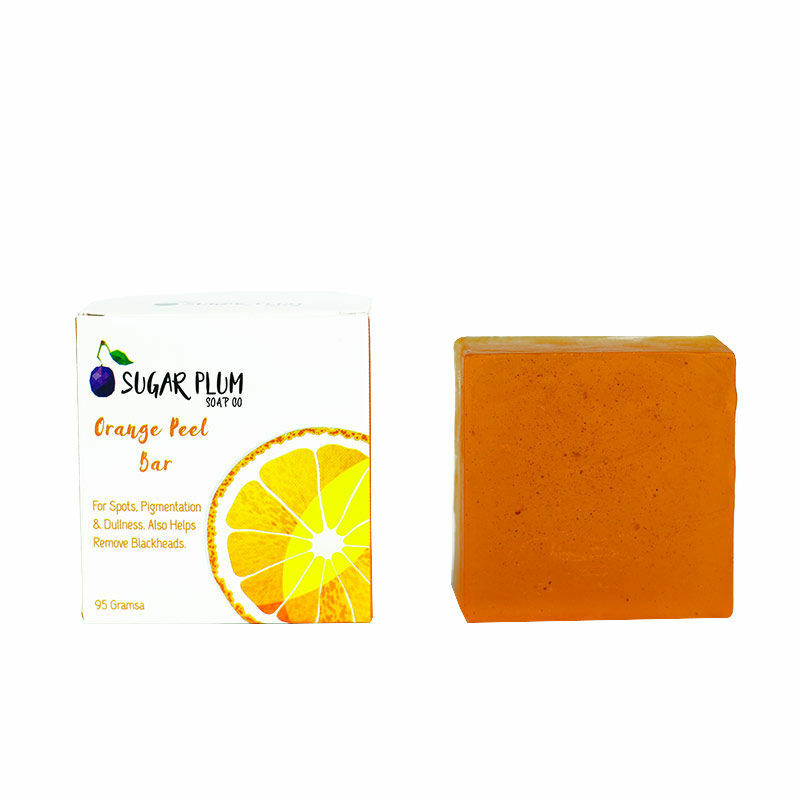 Enriched with orange peels, orange essential oil and glycerine, this soap will lend an instant glow to your skin and make it look brighter and radiant. Loaded with antibacterial properties, this soap will keep skin problems at bay. A shower with this soap will keep you fresh all day long and leave you with a citrusy scent. It reduces spots, pigmentation, dullness and blackheads.